Erin Beitz is Vice President, Investments for Carmel Partners, a multifamily owner-operator headquartered in San Francisco, California. She is responsible for acquisitions and dispositions of existing multifamily in the New York and Washington, DC, MSAs. Over her tenure at Carmel Partners, she has directed over $575 million in transactions and participated in another $430M in development transactions. 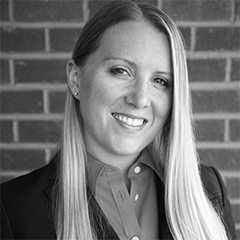 Ms. Beitz has been involved in commercial real estate for fourteen years, with a focus in the multifamily sector. She is a member of the National Multi Housing Council (NMHC) and the New York chapter of Commercial Real Estate Women (CREW). Prior to joining Carmel Partners, Ms. Beitz held multiple positions in the Acquisitions group for Berkshire Property Advisors, and was involved in over $1.0 billion in acquisitions of multifamily real estate and note positions. Ms. Beitz received a Bachelor of Arts with High Honors in Theatre Arts from the University of Nebraska and a Certificate in Real Estate Finance from Boston University.